DC: Capitol Hill, Bloomingdale, Southwest Waterfront, Eckington, Adams Morgan, Anacostia, Shaw, Logan Circle, Dupont Circle, Cleveland Park, Woodley Park, Van Ness, Takoma DC, Brookland, Petworth, LeDroit Park, Deanwood, 16th St Heights, Truxton Circle, Kingman Park, Hill East, Columbia Heights, Mount Pleasant, Park View, U St, Brightwood Park, Trinidad. Liz Mandle is a dynamic realtor specializing in metropolitan DC�s sought-after neighborhoods, up-and-coming areas, and new developments. 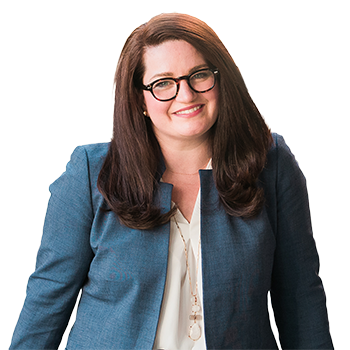 As a former DC school teacher, Liz is known for her consultative client approach � and especially for her ability to demystify real estate for first-time home buyers. She thrives in the fast-paced DMV market and shares her enthusiasm for real estate by accompanying clients throughout the buying process, matching them with the perfect home, and helping them have some fun along the way. Clients who work with Liz gain a trusted advisor who listens to, understands, and interprets their home motivations and investment needs. Liz leverages her market knowledge and extensive network of industry relationships to discover the best home options, and employs her contract prowess to craft competitive offers that resound with listing agents and sellers alike. She is supported by Robert & Tyler�s full suite of transaction coordinators and customer service specialists, who join her in seamlessly shepherding clients from contract to closing. Liz is honored that the vast majority of her business stems from satisfied clients who entrust her with their family and friends through referrals. Hailing from a real estate family, Liz discovered the thrill of house hunting at an early age amid moves between Texas, California, Oklahoma, Ohio, and Illinois. Since then, she has successfully bought, sold, and renovated multiple homes and brings first-hand expertise on post-purchase considerations such as contractor costs, DIY opportunities, and resale or rent-ability. A true DC enthusiast, Liz is a terrific local ambassador for those new to the area. She loves to explore the city, and has a special affinity for DC�s renowned restaurant, event, and museum scene. Liz calls the Hill East neighborhood home, where she lives with her husband, daughter, and basset hound, Schroeder. She holds a master�s degree in education from the University of South Carolina, and two bachelor�s degrees in communications and art from Furman University. This is a short note to express how happy my wife and I have been with the excellent work and support which Liz Mandle has provided for us as we searched, offered and closed on a house. We first met Liz in December, submitted an offer in late January and successfully closed in late February. From the very beginning of our interactions with Liz, she was not only very kind and easy to work with, but also professional, efficient and effective in her work. We truly believe that she helped us get an excellent price on the house we ended up buying and that we wouldn't have been able to achieve the same result without her (or another agent for that matter). She was always available and responsive, willing to go the extra mile to provide us with additional thoughts/ideas/comparables to give us comfort that every angle had been considered. All around she gave us comfort that we were in good hands and made the whole process enjoyable and easy. We will strongly recommend her to our friends and contacts who are beginning a home search, and think that, in Liz, you have an excellent asset on your team. We just wanted to convey how happy we were with her work and how much we appreciated her expertise and kind support.